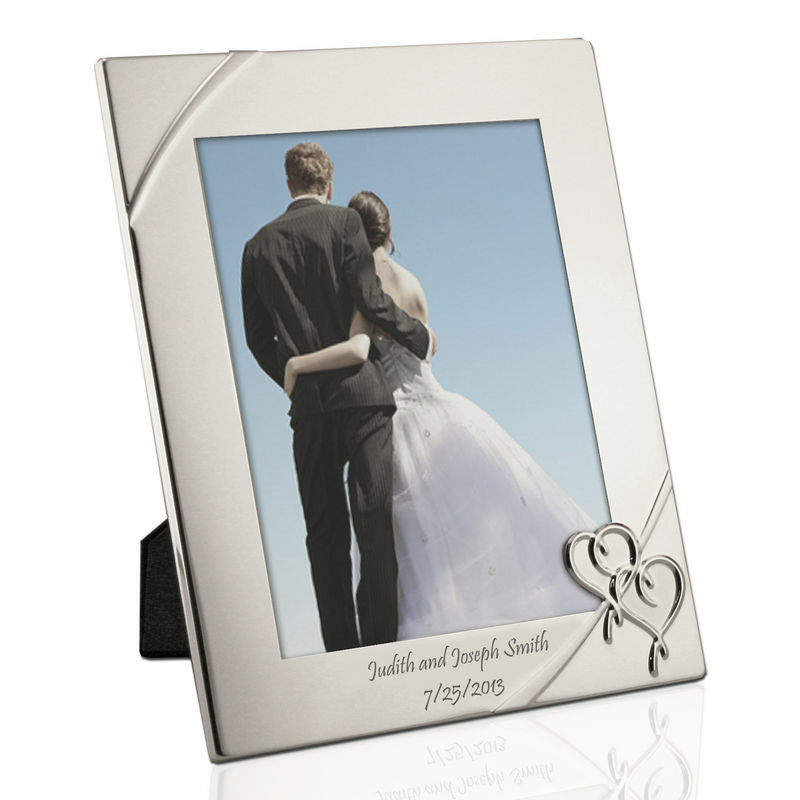 Love picture frames are often the "go to gift" for wedding presents and anniversaries alike, but this True Love Personalized photo frame by Lenox is just the type of wedding frame you should be giving to a happy couple. 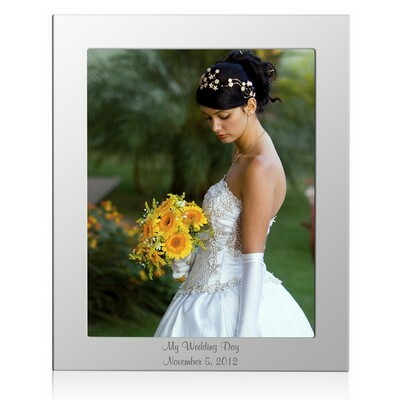 This gorgeous large picture frame is perfect for housing that one truly spectacular photo of the bride and groom, the one that truly shows their unwavering love and devotion to each other. 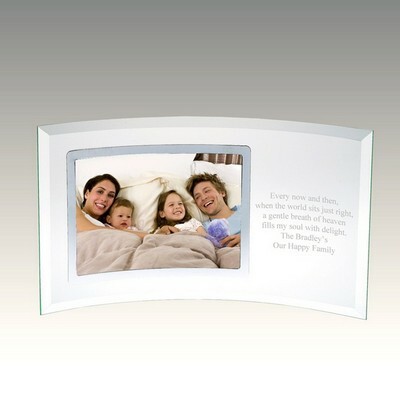 This frame really sets off the photo that it displays. 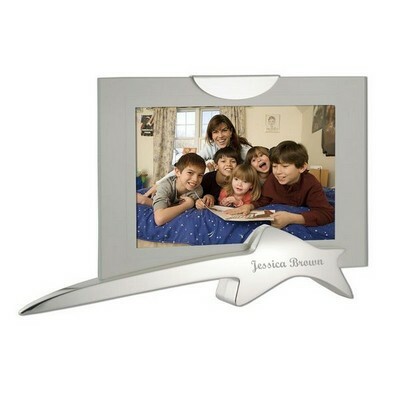 Crafted of silver-plated metal, this unique and beautifully designed frame will look wonderful for many years to come. 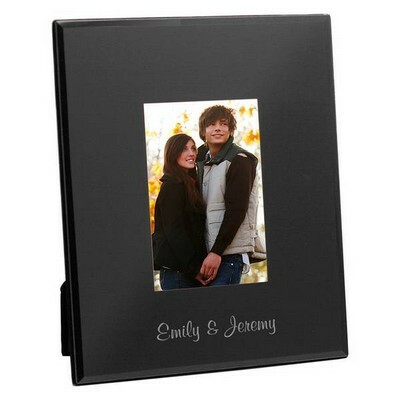 Personalized wedding gifts are so much more meaningful than ordinary and generic gifts, personalize this frame for the loving couple that you know by having two lines of text, up to 36 characters per line, laser engraved beneath the space for the photo. 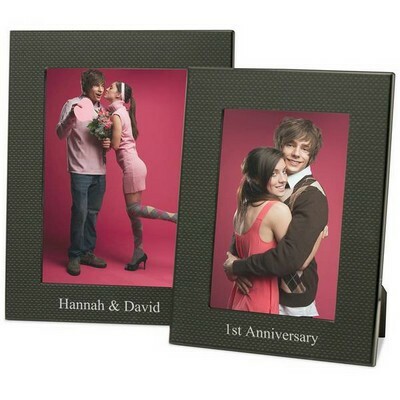 Include their names and their special date to make this frame one of a kind. Comments: Exactly what I was looking for. Very pretty and well made. 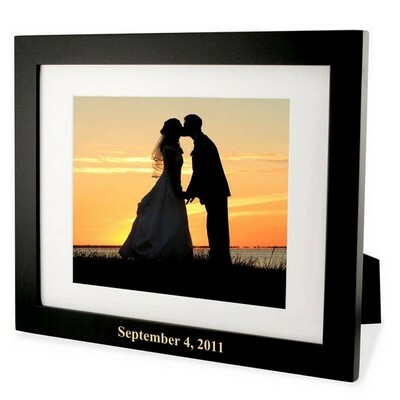 Perfect wedding gift. 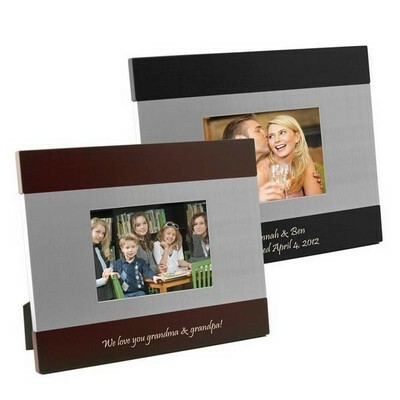 Comments: Reasonably priced...fine quality...shipped promptly...I would recommend this company. 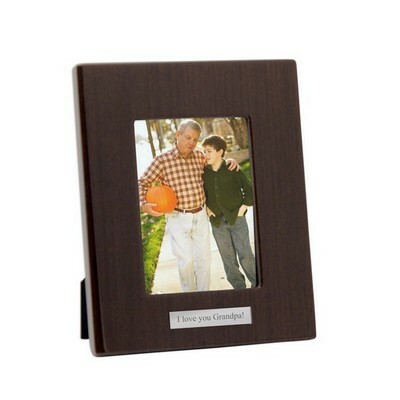 Comments: I was very pleased with the picture frame I ordered. I received it quickly and in perfect condition. 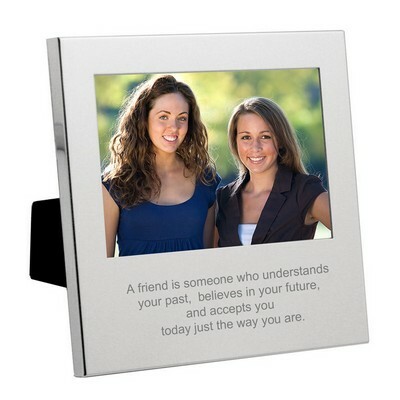 "Love personalized 8x10 picture frame by lenox"